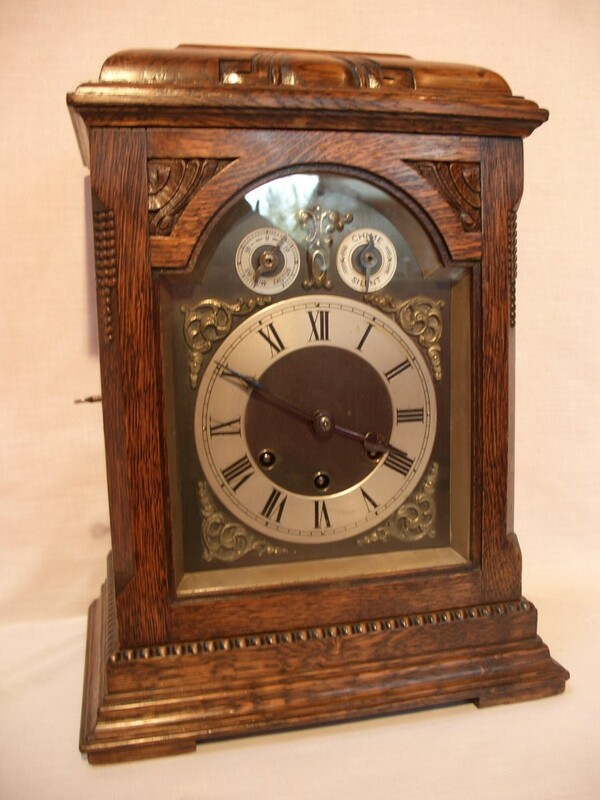 Gustav Becker oak cased 8 day bracket clock. 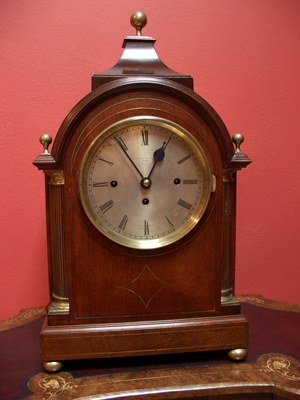 Three train Westminster chime movement with supplementary dials for regulation and strike/silent. Break arch dial with gilt spandrels and silvered chapter ring for Roman numerals and supplementary dials. Fully restored with one years guarantee.